We will once again host a shredding day for Village Residents on June 5th from 1 p.m. to 7 p.m. 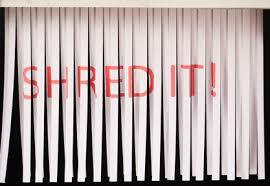 Residents of the Village can bring any personal documents they wish to have shredded during the event. Please ensure there are no binder clips.